Working from home can be both a blessing and a curse. This is especially the case when it comes to optimizing productivity in your home-based office. Of course, there is a certain sense of freedom that comes when you escape from your old corporate cubicle. For a while, that sense of freedom can boost your creative mojo. However, familiar distractions can soon interfere with your intention to buckle down to uninterrupted hard work. 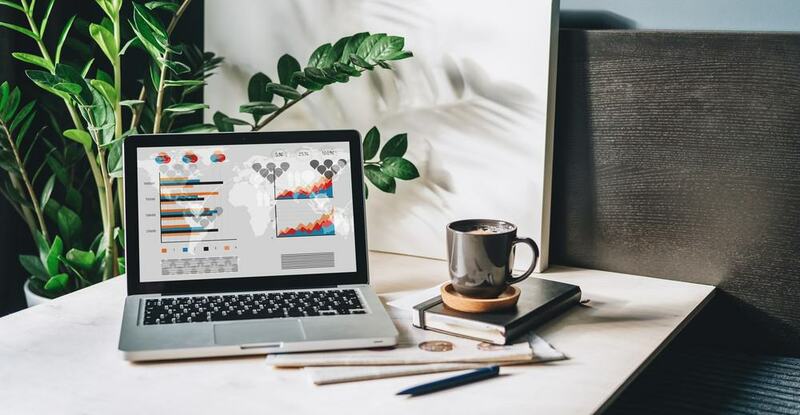 Therefore, whether you’re a freelance SEO marketer or an interior design blogger, setting up your home-based office for success is one of the most crucial pieces of putting together a dynamic workspace. 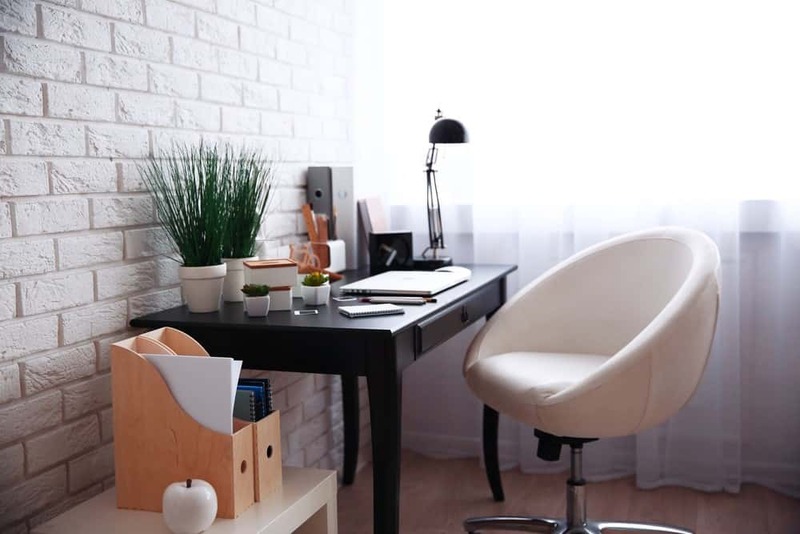 With that in mind, the following methods of priming your home-based office will transform your productivity level in a few easy steps. Going minimalist takes a great deal of decluttering. In order to do that, you’ll need to assess what you need and what you don’t to an extreme. If you’re the distractible type, for example, ridding your workspace of temptation in its many forms is the first step to going minimalist. Any tech you don’t need should be the first to go. For example, there’s probably no need for a 65-inch TV or an iPad if you don’t use either for work. Additionally, keep decorations to a minimum. For those who tend to let their minds wander, analyzing photos or intricate pieces of art will only result in wasting time. Therefore, pick a only couple of pictures or a couple of pieces of art on Etsy for aesthetic effect. As we mentioned earlier, decluttering is part of the minimalist movement. What’s more, your desk is the easiest place to run wild. This is especially true given the amount of paperwork, bookkeeping, and note-taking you need to complete for an effective day’s work. However, swimming in an abyss of pens and papers gives more room for distraction and less room for focus. Therefore, equip your office space with a multi-drawer storage stack to give a home to those loose materials. Also, invest in a wall calendar to keep track of important timelines. Use sticky notes for reminders. The more available space, the better. Do yourself a favor and clean that desk up! Select a room in your house that has plenty of natural light, an operable window, and enough space to foster your big ideas. That’s because tiny, cramped, closet-sized offices can feel claustrophobic after a few hours. Therefore, be sure to pick a room that you can stand to be in for long eight-hour days. Additionally, if you’re running a business out of your home and expect to have clients over from time to time, be sure the space is one you are proud to show. Plants will brighten the space. What’s more, they will also improve the air quality in your office. So consider buying a spider plant or a dracaena plant. Both are easy to care for and look gorgeous in any space. However, be wary of plants that may attract nasty insects. This can compromise the integrity and cleanliness of your office space. Though Housecall Pro’s pest control software makes finding a solution simple, you’re better off avoiding plants that attract pests in the first place. Use warm colors rather than cooler ones. This could put your brain in the mood for learning and creating. It’s interesting to note that studies over the years have shown that extended exposure to fluorescent lights has a number of negative effects on stress and anxiety levels. So instead of fluorescent lighting, use lights with yellow tones. This can make your space feel warmer and more conducive to work production. You are, after all, looking to make your home-based office feel productive. You might as well invest in things that make it sustainable, too. A virtual assistant could be the hands-free help you need for small tasks that would otherwise distract you. The Sonos One and Google Home Hub are both excellent options for voice-recognition commanding. If you need a reminder or simply want to know what traffic is like to the local print shop, your virtual assistant can let you know in seconds. All you have to do is ask! What’s more, their compact and sleek style fit into a minimalist setup without any extra clunk or distraction. Having a career based out of your home is becoming more common. Further, telecommuting seems to be the next big move in the job world. However, instead of falling into the trap of being too comfortable to work effectively from home, change up the pace of your workspace. Boost your productivity in your home-based office with these metamorphic changes. Previous articleHow Smart Is It to Play Your Money in Online Casinos?